Welcome to Butchers Hill! Historic renovation! 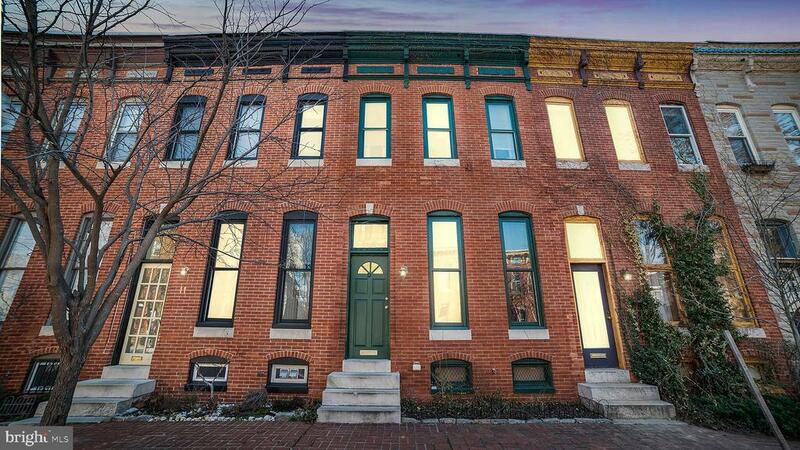 This row home is full of classic Baltimore charm and just steps to Patterson Park on the prettiest street in Butchers Hill! Recent upgrades include HVAC, all plumbing & electric systems, replacement windows throughout, fresh paint, new skylight. The main level offers wood floors throughout - in the formal living room and leading to the separate dining room - both with recessed lights. Updated kitchen with 42" birch cabinets, granite counter tops, stainless steel appliances and access to the private rear deck. The 2nd Level has 2 spacious bedrooms, an updated full bath, and a bedroom level laundry room. The huge, full length, dry, secure lower level has all the storage you need. Deck off the kitchen overlooks the fully fenced, paver backyard. North Collington Street is a beautiful, wide, tree-lined, landscaped street with angled parking offering plenty of parking opportunities. Fantastic location, within an easy commute to Johns Hopkins, Canton and Fells Point with Patterson Park just two short blocks away. Directions: East Baltimore Street to north on Collington. Property on right. Welcome to Butchers Hill!